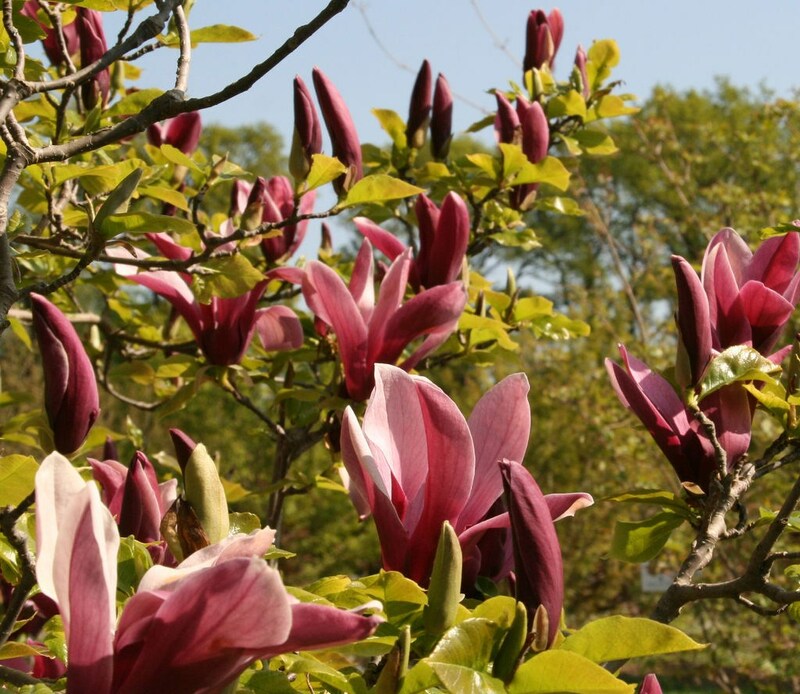 This Black lily magnolia (Magnolia liliiflora Nigra) has narrowly goblet-shaped flowers whos buds are dark red to purple and once opened, are purple red on the outside and light purple pink to nearly white on the inside. The main flowering is May and June but can extend until the end of September. As the flower buds are not produced before the winter but at the same time as the leaves, they are less susceptible to night frost in severe winters.